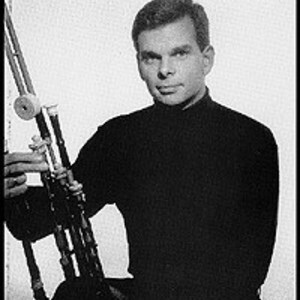 Jerry O'Sullivan has been widely hailed as America's premier uilleann piper. His reputation for technical and melodic mastery of the instrument, an Irish bagpipe known for its subtlety and expression, is unsurpassed in the United States, and is demanding considerable attention overseas. Jerry is also widely recorded on the tin whistle, the low whistle, the Highland bagpipes, and the Scottish smallpipes. Jerry has appeared on more than 90 albums and has performed or recorded with artists such as The Boston Pops, Don Henley, Paul Winter, James Galway, Dolly Parton, The Colorado Symphony Orchestra, The Nashville Symphony Orchestra, Eileen Ivers, and many others. He was a featured soloist on Paul Winter's GRAMMY winning album, Celtic Solstice (Living Music, 1999). His first two solo albums, The Gift (Shanachie,1998), and The Invasion (Green Linnet, 1987) have both received critical acclaim, quickly finding their way to the top of a number of "best albums of the year" lists. Jerry has just recently released a new solo album, O'Sullivan Meets O'Farrell (Jerry O'Sullivan Music, 2005), which features music from the 200 year old O'Farrell tutor and tune collections. Jerry has also recorded a number of film soundtracks including From Shore to Shore, The Long Journey Home, Far and Away, Africans in America, and Out of Ireland, and has appeared on numerous television commercials.